Hungry? Make yourself a plate full of ambroisa salad which is the best option when you are too hungry and lazy to cook something. Take your favorite fruits or the ones you have in the refrigerator and dice them. 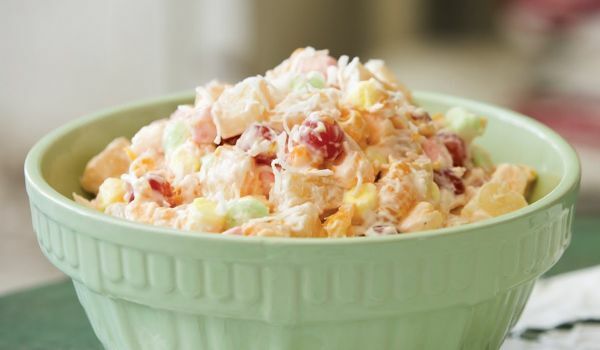 Different fruits have a unique flavor and texture which makes the salad have a vast range of taste and the addition of sour cream seals the deal. Wash and drain fruits well. Mix all ingredients keeping apart lettuce leaves.